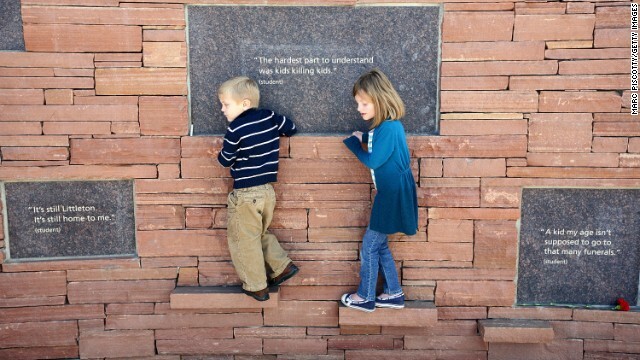 Editor's note: Katie Lyles, who teaches third graders in Colorado, was a student at Columbine during the massacre 14 years ago. 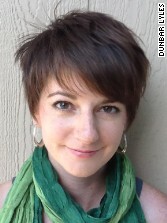 (CNN) - At 16, my innocence was shattered when two gunmen murdered 13 people at my school and wounded countless others. Columbine High School promised to be a safe and secure place of learning. And that promise was broken on April 20, 1999. On that morning, I headed to school worried about my 10th grade math test and my upcoming track meet. Useless worries: The test was never given and we never held the meet. Scars remain from that day that no one can see. Scars that made my worries about math tests or track performance pale in comparison to whether my science partner would live or whether my classmate's speech would be impaired by the shrapnel lodged in his skull. Today, those mental scars throb in large crowds and force me to scan the room for exits. They make my heart beat faster when I hear the blades of a helicopter overhead. Now, as a teacher in my eighth year in the classroom, I consider every day that I go to work a privilege. I cherish my students' joy and enthusiasm, and most importantly, their innocence. I believe that it is our job, as a society, to protect these virtues in our young people. I want them to be worried about math tests and track meets and about science fairs and student council elections - the kind of normal school stuff that builds character. But our epidemic of gun violence is creating a culture of fear in our schools, where students are anxious about safety and intruders. These are worries no student should have. This becomes even more apparent when we conduct our monthly emergency drill at our school. It's a way to be prepared for the worst, so we practice lockdowns, fire drills and evacuations. The other day, I was explaining to my third graders that we were going to practice a lockdown just in case a bear happened to be on the playground - a real scenario for our Colorado school. I have used this example my entire teaching career because it's an easy and nonthreatening reason to practice a lockdown. One girl raised her hand and asked: "Is this what we would do if a bad guy came with a gun to hurt us?" 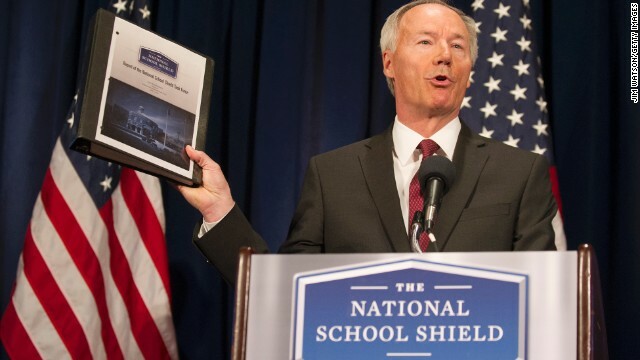 Former GOP congressman Asa Hutchinson headed the National Rifle Association-backed School Safety Shield. Washington (CNN) – A commission tasked by the nation's most influential gun lobby to assess school safety proposed a set of recommendations Tuesday that includes a plan to train and arm adults as a way to protect kids from shooters. Former GOP congressman Asa Hutchinson, who headed the National Rifle Association-backed School Safety Shield, said the plan to train school personnel to carry firearms in schools made sense as a way to prevent shootings like the December massacre in Newtown, Connecticut. 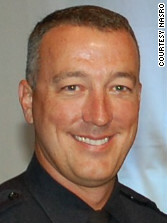 "Response time is critical," Hutchinson said at a press conference revealing the plan. "If you have the firearms in the presence of someone in the school, it will reduce the response time and save lives," he said. Hutchinson said the recommendation for school personnel to carry weapons includes the stipulation those adults undergo a 40-60 hour training program and are screened through a background check. The entire report contains eight recommendations, including enhancing training programs for school resource officers and developing an online assessment portal for administrators to gauge their schools' security. 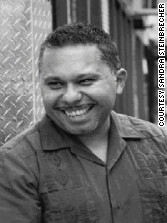 Editor’s note: Ray Salazar is a National Board Certified English teacher in the Chicago Public Schools. He writes about education and Latino issues on the White Rhino blog. Follow him on Twitter @whiterhinoray. My first teaching job in 1995 focused on troubled teens at an alternative high school on Chicago’s Southwest side. I grew up in this neighborhood, but only knew gun violence in Little Village as a distant reference - until one of my students got shot in the middle of the day, about one mile from the school, about one block from my house. Sergio had returned to school in 1996 after dropping out. He slouched and wore a black, dusty hoodie. He struggled. His spelling was so bad that all I could do was rewrite his crooked sentences so he could then rewrite them correctly. He never complained. He sat, mostly silent, usually working. One day, his parole officer met with me and said his spelling was getting better. In 1997, he was shot and died. He became the first person I knew killed by being shot. A couple of years later, someone shot a gang banger in front of my house while I dozed off to “Saturday Night Live.” A few years after that, my wife and I were shot at near our home as we returned from a wedding. Despite my anger, my disappointment, my fear, I felt all I could do was call 911. In 2012, Chicago reached 500 homicides. So far this year, Chicago has at least 42 murder victims, one of them a high school student who performed at events around Obama's inauguration. We've explored controversial issues in my classes, but we never took on gun violence, perhaps because it wasn’t controversial. There is only one side to it - it should not exist. I didn’t know how to push students into a deeper conversation or meaningful debate about this. It was after the Sandy Hook shooting, however, I felt obligated to engage my students in conversations about guns. Gunshots, because of Colorado, Arizona and Connecticut, finally captured people's attention beyond Little Village. I knew my students would hear perspectives on the news, online, on Facebook. What would they say? What would they do? They needed to know the vocabulary, the history, the rhetoric to challenge closed minds and respond to open-ended questions in ways that represented their individual reality. We needed to join the national discussion. These, after all, are the experiences that show students how the writing in their notebooks matters outside of our classroom. Schools of Thought readers weighed in on school security this week with more than 1,000 comments. (CNN) - In a matter of hours in December, conversations around education stopped being about standardized testing, food allergies and teacher pay. After the shooting at Sandy Hook Elementary School in Newtown, Connecticut, everybody wanted to know: What's keeping the kids in my life safe at school? Should school staffers carry guns? Or should every school have an armed police officer? Do guns have any place on school grounds? How does mental health fit into school safety? And is it possible that schools and parents are overreacting - and could that hurt kids? This week, CNN's Schools of Thought published several perspectives on school security, giving those who work or have kids in school a chance to explain what's happening in school hallways and offices around the country. Schools of Thought readers had their own experiences and opinions to share, too. Readers posted more than 1,000 comments debating what reasonable school security policies and resources should look like - whether they be guns, police, psychologists or a hard look from knowledgeable community members. David Thweatt, superintendent of schools in Harrold, Texas, described how his small, rural district implemented a plan to allow some staff members to carry concealed weapons in addition to other security members. Several readers said they liked that Thweatt's "Guardian Plan" took time to vet and train staff members who wanted to carry guns. icequeen75: "I think what this administrator (does) makes sense. It is a well thought plan that has the good guys with guns but also extensive training. I also think while we are putting guns in the hands of the good guys, we also need to think of ways to keep guns out of the hands of bad guys. Encouraged: "Agree 100% with this article. As a kid growing up in suburban Jersey, I definitely knew my school was safer because of the presence of armed security officers. All the more better if there were more trained, but covert, armed personnel. … The poor little ones lost at Newtown deserve their memory honored by providing the means for every student in this country to know he or she is safe and protected when entering a school." aviva1964: "I really don't know what the big deal is. Many schools already have armed guards. ... Kids see security guards at banks, at stadiums, at airports - security at school does not equate to your kids going to school in a prison, nor will it make your kid afraid to go to school. It might make them less afraid." But many argued that guns have no place in schools, especially in the hands of those hired and trained to educate kids. Scott B: "I love my kids enough to not want them to go to school prisons." TomGI: "As long as the decision to arm the school staff is fully disclosed then fine with me. I want to be informed so I can pull my kids out of there. I don't want my kids going to a school with armed staff. 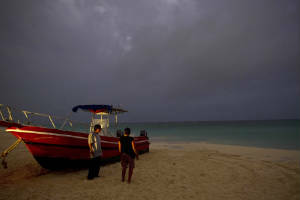 There are alternatives to that, and I want to avail myself of them." Editor’s note: David Thweatt has been superintendent of the Harrold Independent School District in Harrold, Texas, for nine years. This week, Schools of Thought will publish perspectives on school security. Tomorrow, a parent and author reacts to school safety responses in the wake of the school shooting in Newtown, Connecticut. (CNN) - Good parents protect their children. We protect them from the wind, sun, fire, cold, sickness, from animals, harmful philosophy, other children, predatory adults, injury when possible, their own faulty reasoning and anything else that we see as a dangerous risk to their health and well-being. They are the future, and they are precious. 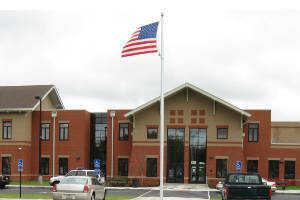 At the Harrold Independent School District in Texas, we believe we’ve done everything possible to protect our children. We use cameras, electronic security and emergency plans, and some of our staff members are armed. When I got into education in 1979, the idea of guns in schools was completely off my radar. But I believe faulty logic was used to frame the 1990 gun-free school zones law, which made it illegal for most citizens to knowingly possess firearms near schools. No police record, news account or anecdotal evidence showed that school personnel authorized to carry weapons used guns to hurt or injure innocent children. There was no reason for the federal law except defective reasoning: Policy makers believed that because guns came into schools in the hands of law-breaking gang members and drug dealers, the smart response was to take them away from law-abiding citizens. In Harrold, our school serves about 105 students in our rural community 150 miles northwest of Fort Worth. Best-case scenario, we are a half-hour away from the closest law enforcement officials. In 2005, after shootings at other schools and universities, I began to research ways to protect our school’s children, and my research included the idea of arming staff members. There was no blueprint for how that would work, so we spent two years researching and considering different requirements and legal issues. The school board passed it October 22, 2007. We call it the Guardian Plan. (CNN) - A 16-year-old student who blasted a California high school classroom with a shotgun Thursday was targeting two classmates because he felt he'd been bullied, the local sheriff said Thursday night. One student was hit and was in critical but stable condition Thursday night, and the shooter was in custody after a teacher and the school's campus supervisor talked him into putting his shotgun down. Kern County Sheriff Donny Youngblood said he did not know whether bullying had actually occurred between the Taft Union High School students. "But certainly he (the shooter) believed that the two people he had targeted had bullied him," Youngblood said at an evening news conference in Taft, about 30 miles from Bakersfield. The young shooter was still being interrogated Thursday evening, Youngblood said, adding that the youth will be charged as a juvenile with attempted murder. It will be up to prosecutors to decide whether he should be charged as an adult, the sheriff said. The name of the student in custody was not released. Youngblood laid out a detailed scenario of the hours before the shooting, saying the student planned the assault the night before, and took a shotgun belonging to his brother. The student did not show up for school on time Thursday, Youngblood said, instead appearing about half through the first period of classes. He was caught on school surveillance cameras, the sheriff said, using a side entrance instead of the school's main door and "appearing nervous" as he tried to conceal the shotgun when he entered the school. The gunman fired directly at one student, who was hit, then as students rushed to flee, the gunman fired again, Youngblood said. "Miraculously, (the second shot) didn't injure anyone." Youngblood credited the teacher and the campus supervisor - a campus monitor on the school's staff - with bravely facing off with the young gunman. 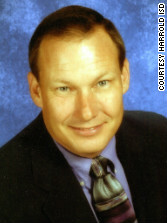 Youngblood identified the teacher as Ryan Heber and the campus supervisor as Kim Lee Fields. "They stood there face-to-face (with the gunman) not knowing whether he's going to turn that shotgun on them," Youngblood said. 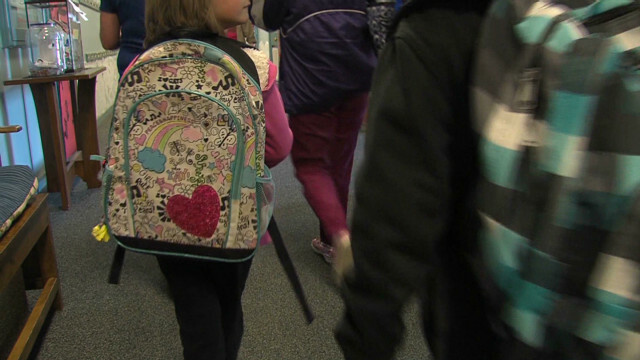 (CNN) - It's not the first time this has happened: Students return to school after a few weeks off, and a few things have changed. Maybe the gym floor got a shine, the new physics teacher arrived - or there's an adult with a gun. As students across the country returned to school this week, some schools implemented new security policies or brought in new personnel. Some are temporary or pilot programs. Others are refreshes of existing plans and training. 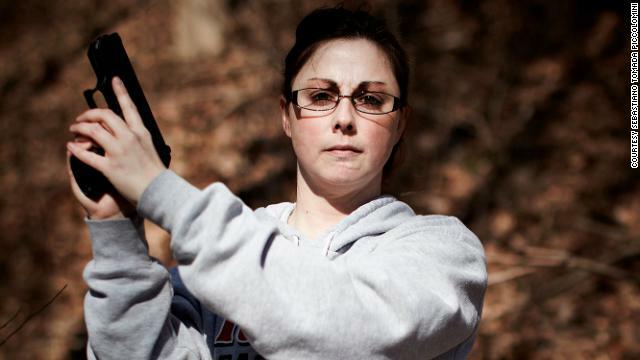 In Utah and Texas, some educators trained in shooting or self-defense. 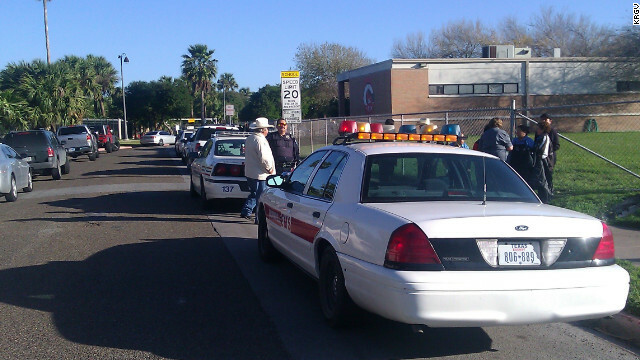 Arizona's Maricopa County Sheriff Joe Arpaio put a "posse" of armed volunteers around school perimeters. The National Rifle Association said all schools should immediately have armed officers, later adding that schools should decide for themselves how to protect children. It's all in reaction to the December 14 shooting at Sandy Hook Elementary School in Newtown, Connecticut, where 20 children and six staffers were killed. “This is Columbine déjà vu,” said Kenneth Trump, a school security consultant who works with school districts across the country. For weeks he's been hearing from schools that want to review emergency plans, train staff or invest in technology they hope will increase security. "I’m happy to see these conversations happening now," Trump said. "I’m frustrated you couldn’t pay someone to have those conversations the day before Sandy Hook."